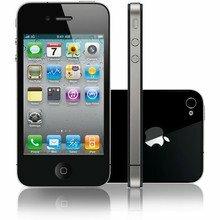 Sell your iPhone 4S 16GB with OnRecycle to get the most cash: in a matter of seconds, we'll compare all the major phone recyclers to score you the best prices. Selling your 16GB iPhone 4S with OnRecycle couldn't be an easier process. In just seconds, we'll compare iPhone 4S 16GB trade in prices from a line-up of trusted phone recyclers, so you don't have to! We'll even show you their payment speed, method and user reviews - giving you all the information you need to sell your iPhone 4S 16GB with confidence. Phew!